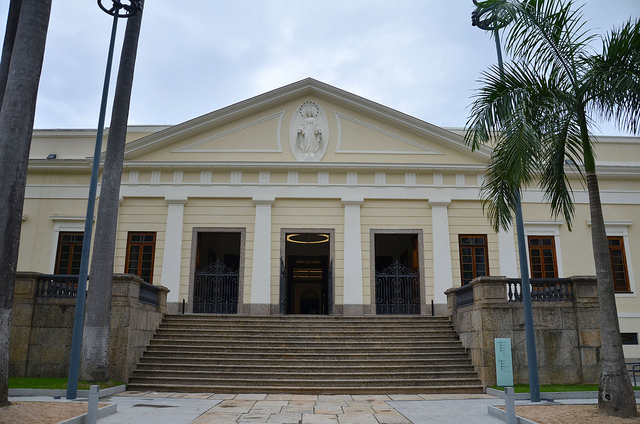 Casa Daros, which opened its doors to the public on 23 March 2013, is a new space for art, education and communication, housed in a stately 19th century building in neoclassical style, that is preserved as an official historical heritage site. Designed by architect Francisco Joaquim Bethencourt da Silva (1831–1912), the mansion stands in grounds of more than 12 thousand square meters in Botafogo. The space will present exhibitions from the Daros Latinamerica Collection and will be firmly focused on art and education – with a wide range of activities for the public. Casa Daros also offers a schedule of seminars and meetings with artists in its auditorium, as well as a library specialised in Latin American contemporary art, a documentation space, a reading room, a restaurant / café, and a shop. Casa Daros is part of Daros Latinamerica, one of the most comprehensive collections in the world dedicated to Latin American contemporary art, that is headquartered in Zurich, Switzerland. The Daros Latinamerica Collection has over 1,200 artworks, including paintings, photographs, videos, sculptures and installations, by more than 117 artists, and is constantly expanding. 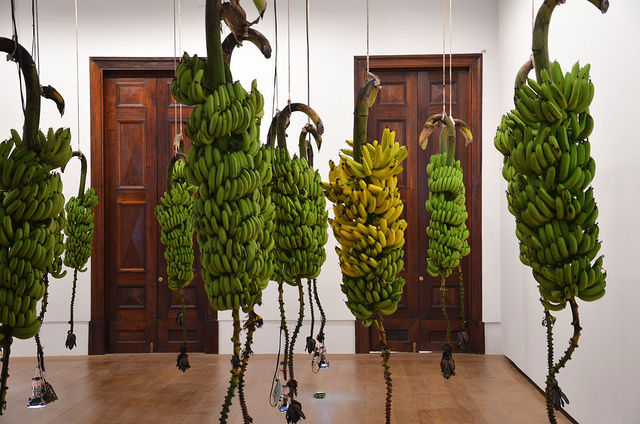 Casa Daros has opened with the exhibition Cantos Cuentos Colombianos, a panoramic view of contemporary Colombian art. The curator Hans-Michael Herzog has assembled a grouping of works by the artists Doris Salcedo, Fernando Arias, José Alejandro Restrepo, Juan Manuel Echavarría, María Fernanda Cardoso, Miguel Ángel Rojas, Nadín Ospina, Oscar Muñoz, Oswaldo Macià and Rosemberg Sandoval. The exhibition, first presented in Zurich, Switzerland, in two parts, was the largest show of contemporary Colombian art yet shown in Europe. This entry was posted in Rio de Janeiro and tagged Brazil, Casa Daros, Rio de Janeiro by Critical Divide. Bookmark the permalink.